9092CCGoliath Chrome Large Hobby Floor LampThis Go..
4002BKArcs Led Arch Floor Lamp, BlackCreate a foca..
4002GYArcs Led Arch Floor Lamp, GreyAdd a sleek an..
1200CCBankers Lamp - Chrome, White GlassWith a chr..
1070SSColton Led Curved Floor Lamp, Satin SilverMa..
3053CUDenmark 1 Light Floor Lamp, Black, Antique C..
3053CCDenmark 1 Light Floor Lamp, Black, ChromeA v..
3052CUDenmark 1 Light Table Lamp, Black, Antique C..
4122BKDesk Partners - Black Flex Clip Task LampThi..
2429BKDesk Partners - Shiny Black Hobby Table Lamp..
2429WHDesk Partners - Shiny White Hobby Table Lamp..
4122WHDesk Partners - White Flex Clip Task LampThi..
1061ABAdjustable Led Round Flexi-head Floor Lamp, ..
1061SSAdjustable Led Round Flexi-head Floor Lamp, ..
1079SSFocus Table Lamp, Satin SilverThis retro ins..
Would you like to see are wide range of lamps? 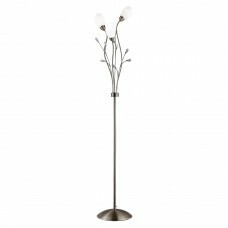 Lamps at Lumination are a customers favourite and because of this we stock a massive diverse range. There really is a lamp for any room, any building, any condition because of the shapes and sizes they come in. We stock large, small, desk, bedside table, floor, touch, lava, cost effective, LED, multi arm, adjustable and in all shapes, sizes and colours! Our stock is selected by our team of experts and specialists, picked from highly praised manufacturers and brands; this way we know we are only offering our loyal customers the best. Contact us today for anymore information about our lamps.